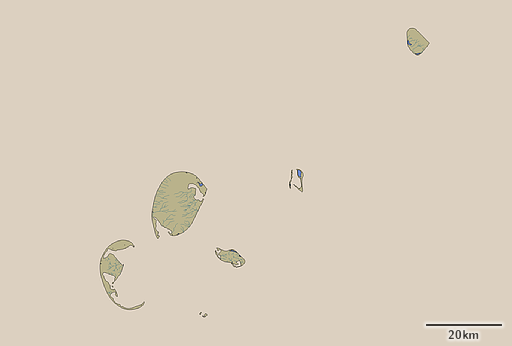 With the mappings of Franz Josef Land and Severnaya Zemlya there are a few smaller islands at the edge of the Arctic Ocean left that are generally poorly mapped, not only in OpenStreetMap but also elsewhere. Below is an overview maps of the ones i cover in this post so you can see where they are located. 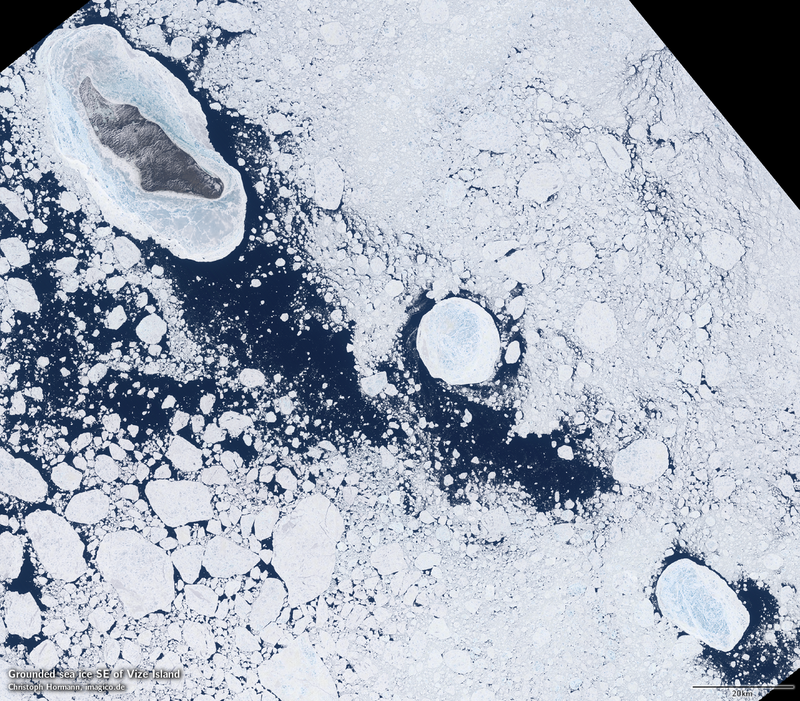 Ushakov Island and Vize Island are located between Franz Josef Land and Severnaya Zemlya. Ushakov Island bears the fame of being the last island of significant size that was discovered in the Eurasian Arctic in 1935. It is almost fully ice covered and one of the least hospitable areas of the planet due to the cold and rough climate even in summer. Vize Island is a bit further to the south and without glaciers since it is very flat. 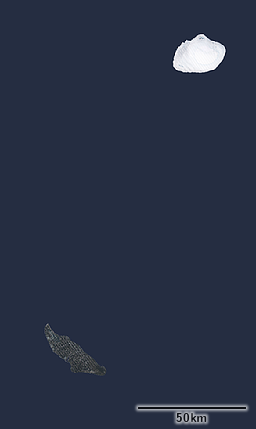 Below you can see the satellite image moasic (with the ocean masked in uniform color) and the mapping. 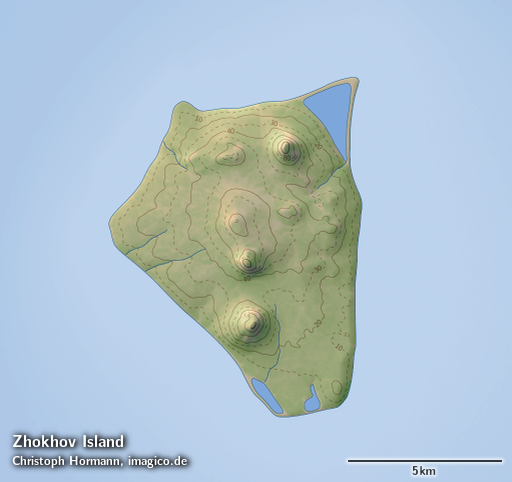 What is intersting about Ushakov Island is that its position is usually off by several kilometers in nearly all maps in some direction. 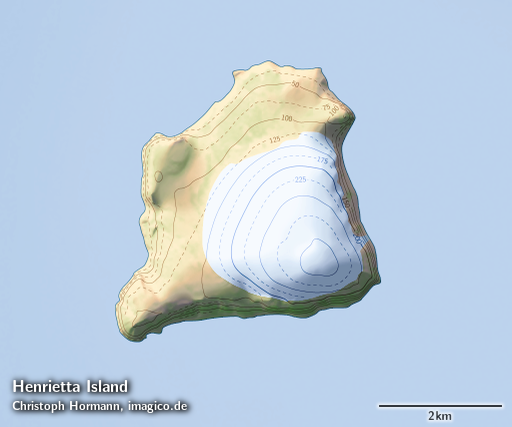 The exact position varies from map to map but the island is nearly always shown further north than where it actually is located. 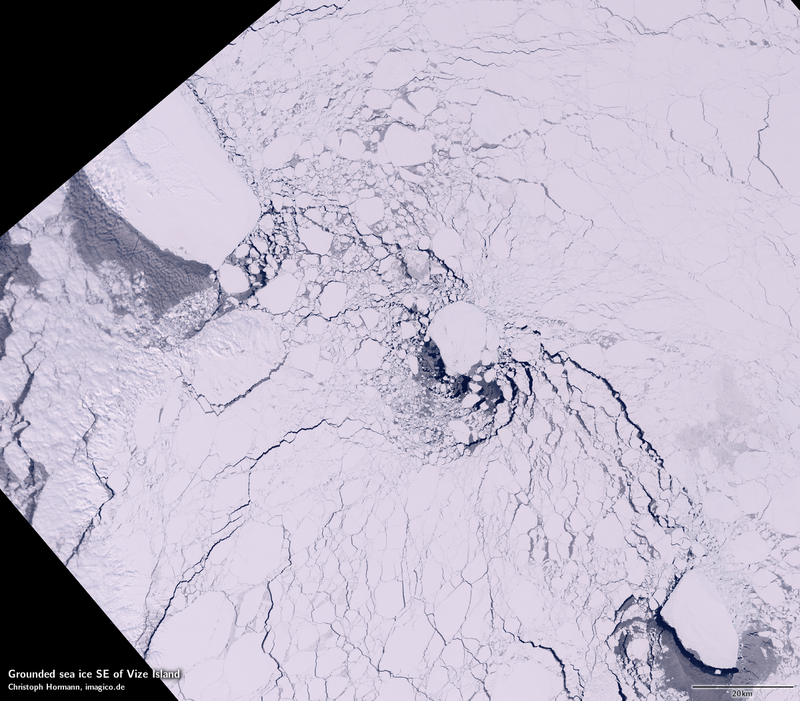 Another interesting observation i made in the area while assembling satellite images is the grounding of sea ice in shallow water southeast of Vize Island. The following two Landsat images are from two different years (1998 and 2013) and show stationary patches of sea ice at two places which indicates the ice is grounded here in shallow water. This is only possible when the water is no more than a few meters deep in those areas. 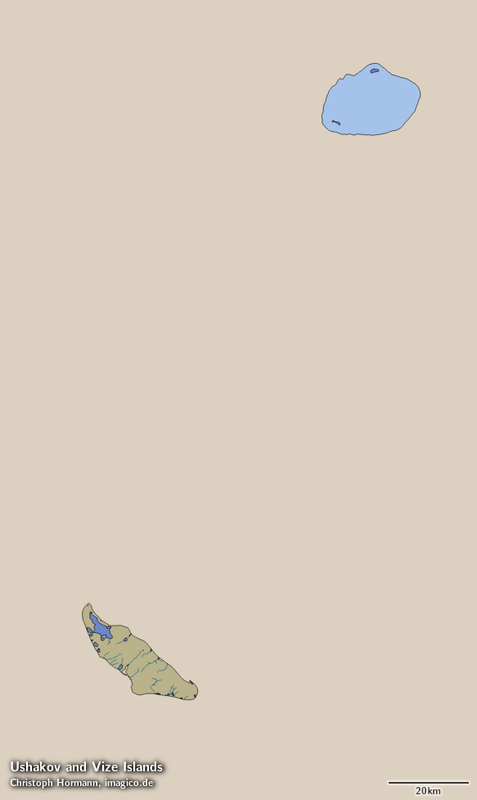 Generally the Kara Sea is quite shallow in many parts (you can see that when you switch to the topography layer in the above map) so this observation is not really unexpected. 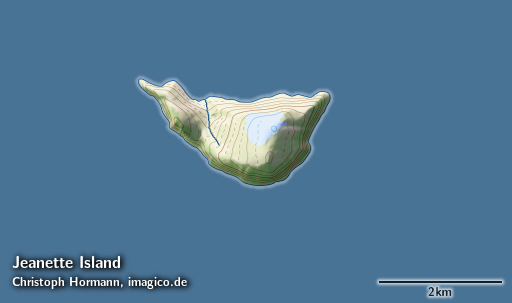 The Kirov Islands have been number 6 on my list of top ten errors in the OSM coastline because they have been fully missing. 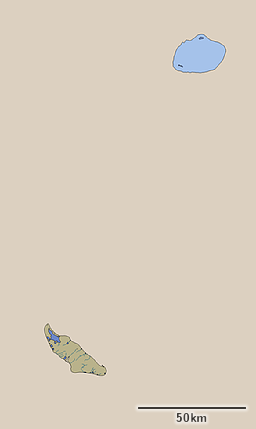 Below you can see the Landsat based mapping that is now newly in OpenStreetMap. 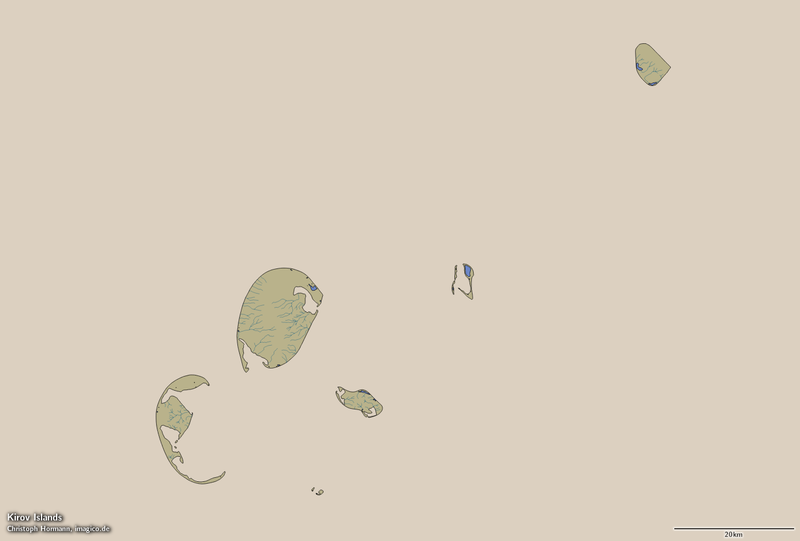 The new mapping of all these islands will be added to OpenStreetMap as time permits. All data is also available for independent licensing of course just like the Franz Josef Land and Severnaya Zemlya data sets. 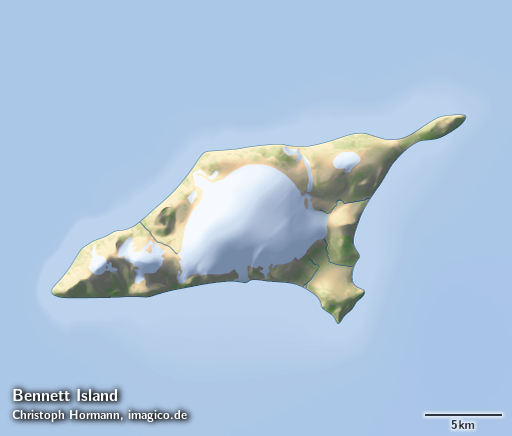 viz., Bennett Island. That was in 1995. 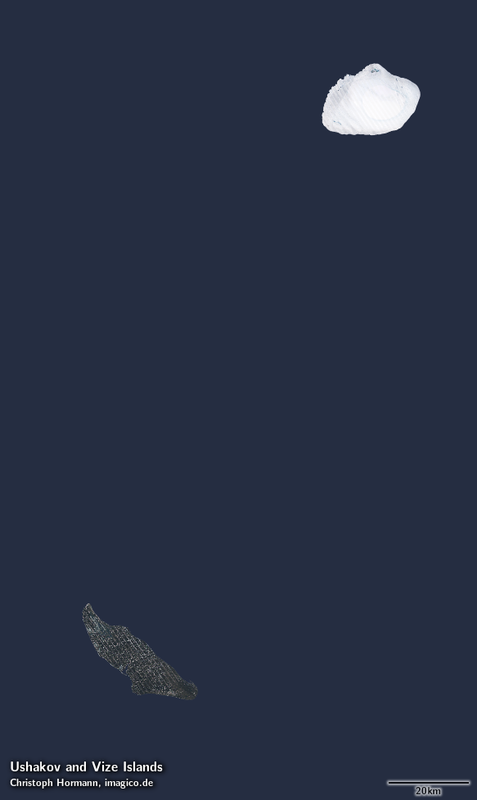 I would like to see a map of Herald Island (to the East of Wrangell Island). Between 2 June 1881 through 12 August 1881, five islands to the North of Siberia were annexed by the United States Government. They included Bennett, Henrietta, Herald, Jeanette, and Wrangell (formerly known as New Columbia Land). On 17 May 1884, Major Ezra W. Clark (Clark River on Wrangell Island was named after him), placed these five islands in the District of Alaska, to give them a limited form of civil government. Ezra Clark was the Chief of the United States Revenue Marine (an attorney with the United States Department of the Treasury). Just for the record – since this comment could be understood to imply otherwise: There is no current claim of US sovereignty over any Arctic ocean islands beyond the Bering strait. 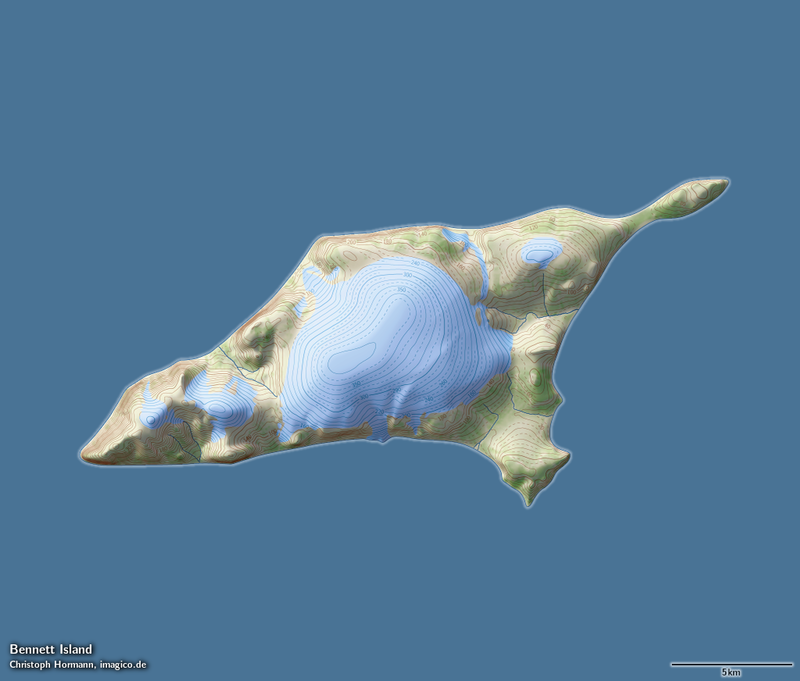 Wrangell and Herald Island are on my list of areas that could use up-to-date mapping. They are not high priority at the moment though. If you want to finance data acquisition and processing for those let me know. I am sorry but this is not a political forum, please keep comments on topic.